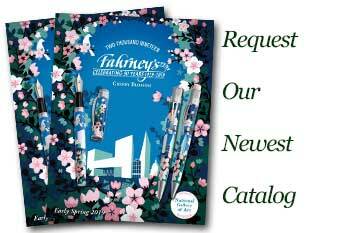 Order your Cross Century II Lacquer Ballpoint Pen today from FahrneysPens.com. Fine Pens, Refills & Luxurious Gifts – great prices & fast shipping. Cross presents a refreshing new update for its best selling Century II collection in fashion forward colors crafted in precious metals and glossy lacquers. The Century II model has a bolder presence and wider barrel than the original slim Century Classic profile. The three new 2018 finishes will appeal to men and women and are sure to be a popular gift choice. Choose from Translucent Plum Lacquer with rhodium-plated accents, Pearlescent White Lacquer with rose gold PVD-plated appointments, or the stealthy Gunmetal Grey with polished black PVD-plated trim. 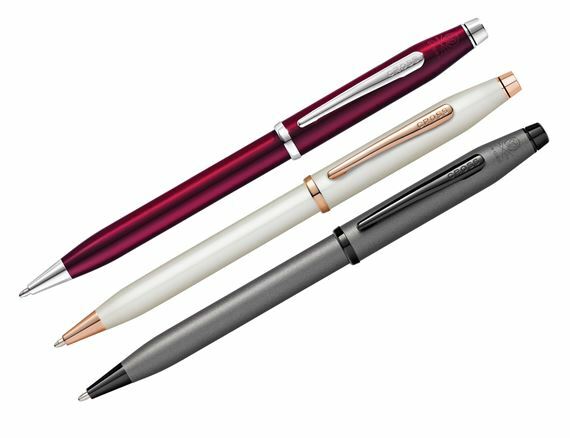 The new Century II fountain pen holds a polished steel nib that will deliver effortless writing; the capped Selectip rollerball also accepts fineliner or ball pen refills; the twist ball pen is the quintessential Cross.